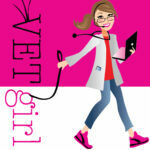 In this VETgirl online veterinary CE blog, we demonstrate how to intubate a cat. Cats are harder to intubate due to their severe laryngeal spasm. In cats, we traditionally use a high volume, low pressure endotracheal tube (ETT; sizes 3.5-4). With cats - particularly those cats undergoing dental procedures - make sure not to overinflate the cuff, as this can result in tracheal tear and secondary subcutaneous emphysema. (Thankfully, most cats with tracheal rupture secondary to ETT intubation did well and survived with medical management). In this video, we demonstrate how to intubate a cat using a laryngoscope, stylet, and appropriately-sized endotracheal tube. If you don't feel comfortable quickly and efficiently intubating a cat, make sure to perfect your skills on a deceased patient, as this is a life-saving procedure (particularly for cats that have undergone cardiopulmonary arrest). 1. Mitchell SL, McCarthy R, Rudloff E, Pernell RT. Tracheal rupture associated with intubation in cats: 20 cases (1996-1998). J Am Vet Med Assoc 2000;216(10):1592-5. Wow! Thank you for your video. I just had a terrible event with my cat at the vet. My beloved cat, Ashley, went in to acute respiratory failure as a consequence of HCM. I am an ER doc and knew that she needed to be intubated. ( We usually try a BiPap with IV Lasix and IV nitroglycerine in the ER). My vet just gave her IM Lasix, aspirin, and a calcium channel blocker and put her in the oxygen tent and waited for her to die! The vet’s attitude was that ” this is the standard of care”. Hell, I’d be sued to Oblivion if I had that approach on humans…I didn’t have any other choices. The real vets are about 200 miles away and it’s hard to find one at 10 pm. I couldn’t take my cat to the hospital where I work or I would be fired. ( A few years back one of the nurses brought her dog to the ER when he was on fire circumstances…everybody involved in the “save” was fired). I personally believe that many vets don’t know how to intubate and so they won’t even try. Hello, I’m curious where you purchased the stylet. Thanks! You can order them from MILA, Cook, etc. and several different companies. Do you know of any cat intubation simulations models?